One of the most beautiful cities in the province of Como, located on the Western shore of Lake Como at the foot of Mount Bisbino, Cernobbio has always been the preferred destination of the Lombard nobility, aided by the mild climate and a charming natural landscape. The earliest records of the foundation of the town date back to the XII century: in medieval times Cernobbio experienced a period of great wealth and prosperity. It was so important that in the Middle Ages, the mayor and his council already regulated their own legislation. In later years the town was involved in bloody power struggles that characterized also the history of nearby Como. After a dark period in the XIX century and an increase of the stately building, the city is firmly established as one of the preferred destinations for elite tourism. In the medieval part of the settlement, it is still possible to admire the traces of the ancient "castrum" and until the XVII century the tower of the fortress was still visible. Villa D'Este was built in the second half of the XVI century, designed by Pellegrini for Cardinal Tolomeo Gallio, a powerful state secretary of Pope Gregory XIII. It assumed its present name in 1815, when Princess Caroline of Brunswick, a descendant of a Guelph d'Este, chose it as her residence. It then passed to several owners, until in 1873 it was remodeled and converted into a Luxury hotel. 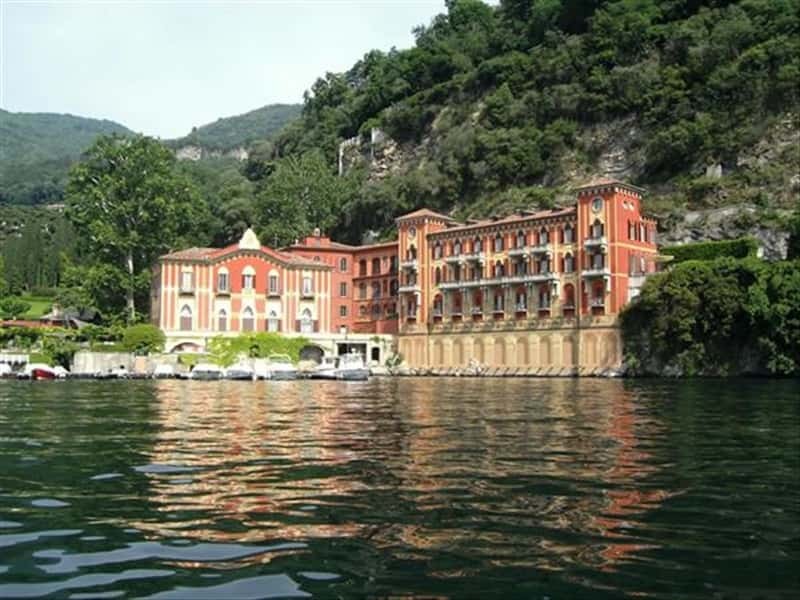 Not to miss: among other villas, Villa Pizzo (XVI century), Villa Erba (1898) and Villa Fontanelle. Worth of a visit: the Oratory of St. Anne Asnigo, which dates back to the XV century. Finally, following the Via dei Monti Larijani, a nature trail that climbs up to Mount Bisbino, it is possible to visit the XVI century Marian Shrine , from where visitors can enjoy a breathtaking view of the Alps, the lake and the surrounding plain. This town web page has been visited 45,006 times.